The Military Archives website presents data from varied development solutions and resources online. We have also designed and developed the website to present MSPC AdLib database which was launched in 2014 by the Taoiseach at a formal ceremony in the GPO. 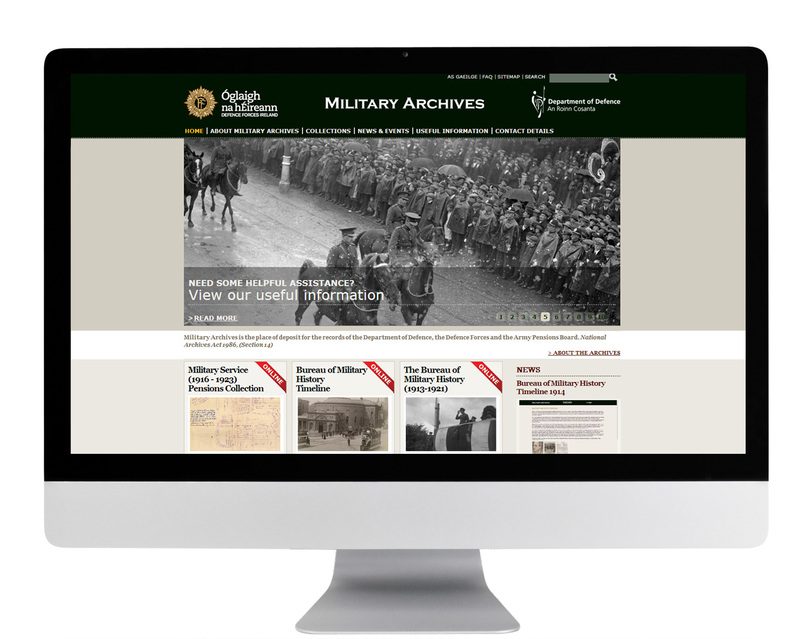 The website has attracted great interest in the run up to the Military Services Pension Collection launch and continues to be a fascinating online historical resource. 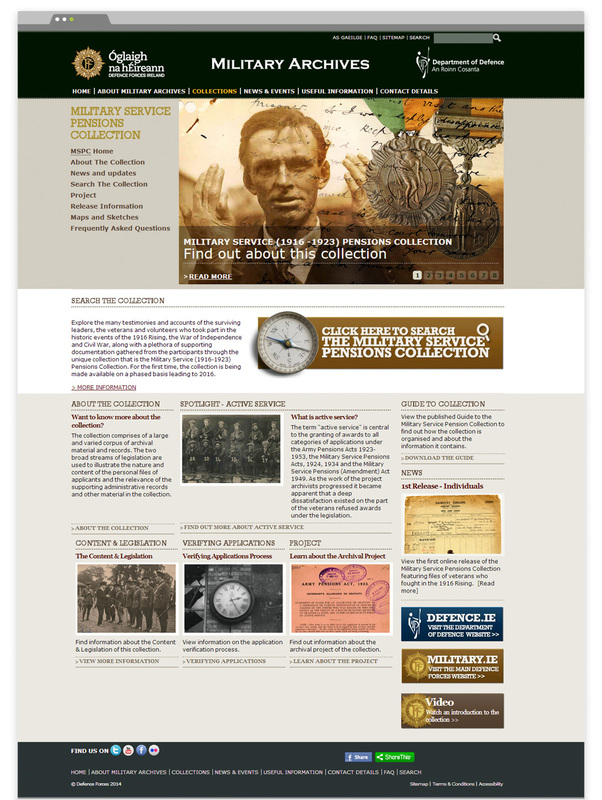 Military Service Pension Collection (1916 – 1923) Overview from Military Archives on Vimeo.